"My first experience with monkey bread, and always a winner. Seriously, yum!" Combine sugar, 2 tablespoons cinnamon, and nutmeg together in a bag. 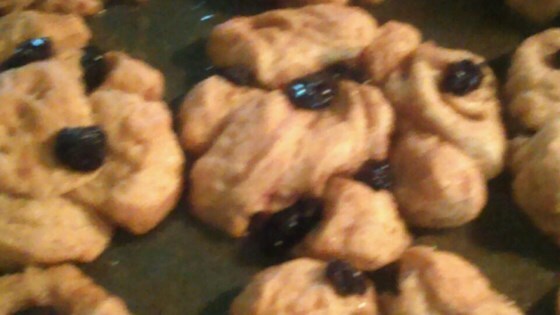 Drop biscuit quarters into bag and shake well to coat biscuits. Stir margarine, brown sugar, and 2 teaspoons cinnamon together in a saucepan over medium-high heat. Cook and stir until sugar dissolves and mixture has a syrup consistency, 2 to 5 minutes. Remove from heat. Arrange 1/3 the biscuits in bottom of a tube or fluted tube pan (such as Bundt(R)) and pour 1/3 the syrup over the top. Repeat layering process 2 more times. Bake in the preheated oven until bread is golden and cooked through, about 35 minutes. Cool in the pan for 5 minutes and turn bread out onto a serving plate. Always a hit at our house. I did mine in muffin cups for individual portions. They were absolutely loved!